By now you are quite aware that the “Federal Reserve Bank” is not “Federal,” nor do they hold reserves, and not even are they a bank. The disinformation begins there and reaches out like tentacles from a metastasizing cancer to spread into most government statistics, our education system and business schools, our media, and even our history books. The disinformation is pervasive, it causes massive misallocations of human and natural resources while working to congregate wealth into the hands of those who control the production of money – private banks. They need apparent growth (inflation) to keep their game going, without it the Ponzi of ever increasing sums (and profit) collapses into deflation. 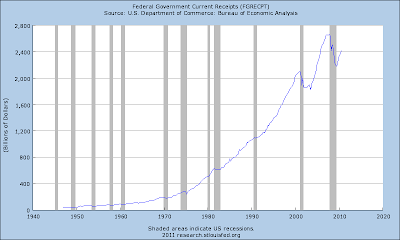 On the national level all deficits add to the national debt that is financed through the Treasury and ultimately owned as an asset by the private banks in the form of U.S. Treasury Notes and Bonds. In this way the people are effectively charged interest payable to those banks via income taxes. This dynamic simply does not have to work in that manner, in effect it causes the people to pay for the use of their own money system – a system that belongs to them via Congress and not to the private banks. Thus, the population is placed into a false box in which the solution to debt is either more debt, which is ridiculous of course, or into “austerity” – that is higher taxes and less spending. According to corporate sources who live and think inside of the current box, those are the only two alternatives. Reality and the right answers, of course, are only found well outside of that two-dimensional illusion. But before any solution stands a chance of working over long periods of time, first we must be able to be honest with ourselves in understanding the current system and we must be able to accurately measure what’s really happening in the monetary system and then in our economy. I would posit that we are currently living a mass-experienced delusion within a fog of economic disinformation. Math is not pliable to disinformation. Inflation will absolutely destroy any currency given enough time. What sounds mundane in the short term, say 3%, will literally make a currency worthless in just a few short decades. Why would any country implement a monetary system that depends on inflation, or said another way, why would one target inflation when that inflation will most certainly lead to the eventual demise of that currency? That hardly seems sane… unless you are the one who produces the money and profits from it! Thus it is vital to look through the lens of those who control the quantity of money when trying to make sense of the economy. As Bill Still has repeatedly stated, WHO controls the quantity of money is far more important than WHAT backs it! For it is the who that not only makes the quantity decisions (more is always good when you’re the one making it), but who it is that controls the production of money eventually also controls the production of a nation’s laws, aka “The Golden Rule.” This is why who produces the money within the economy is so vitally important to politics, and by extension world events. Let me make that last point clear. There is a direct chain that leads from the production of money to world events! Follow the money and the production thereof. This is true because money is ultimately about control. He who produces the money is in control. Let the private bankers produce the money, they are in control, you just surrendered your sovereignty! Take loans from the IMF, surrender your sovereignty! Borrow money from China, surrender your sovereignty! That money can be backed by seashells, gold, silver, paper, or whatever… ultimately the quantity of money can always be manipulated by those who produce it! Once the perception becomes pervasive that the quantity of money is out of control, then the end of the current money system is at hand. Thus I would propose that any system that targets positive price inflation is not sane or rational in the sense that it serves the people over the long term. There is only one price inflation target that’s mathematically sustainable, and that is ZERO percent inflation. Since there is smaller profit involved in producing a non-inflating currency, don’t look for private entities to back this rational inflation target any time soon. Thus the production of money can only be rational when it is in the hands of the people who rightly own it. And who are the people’s representatives? Congress – and they too must respect the math or the system will ultimately fail. Not accepting the reality of the math leads to disinformation, fuzzy thinking, and problems that never seem go away. 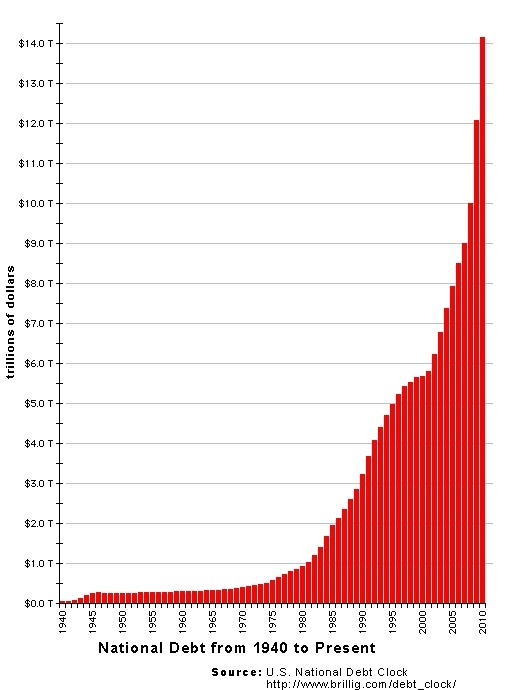 Nearly all money produced today comes into existence as somebody’s debt. 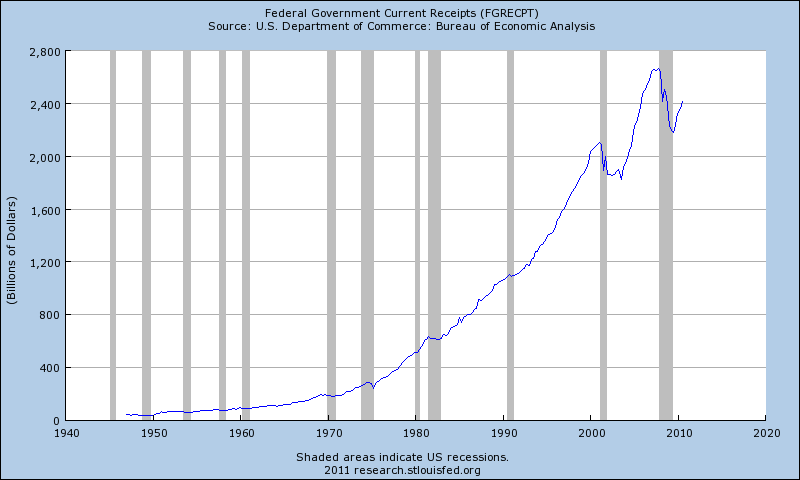 The myth is that the government currently “prints” money. They do not, and have not for quite some time. Private banks and other quasi-financial institutions are the ones who produce most of the money, and they do so from thin air without assets backing their credit money creation. It didn’t used to be this way, but today it is a fact. Private institutions make the money. They hold the debt as an asset and they collect interest on it. This is quite different than sovereign money which is created when a nation produces its own money without debt. When a nation first transitions from a sovereign money system into a debt money system, adding more credit money works to stimulate the economy as the total supply of sovereign and credit money expand, creating new infrastructure and new industry. The “Keynesian” model is to add more credit money to the economic dips in order to spur the economy. This works in an immature economy where the ratio of credit dollars to sovereign dollars is low. But then the math of debt begins to catch up with the economy as credit money begins to outstrip sovereign money. The problem with debt is that it requires continuous income to service it. Once a nation’s money becomes 100% credit, as is the case in the United States and throughout much of the globe now, then scarcity is assured as all that money carries interest. The interest works to consolidate the money into the hands of those producing the debt. For everybody else, they eventually enter a condition that I term “Debt Saturation.” That is the point at which current income can no longer service more debt. If more debt is added to a debt saturated situation, then something must mathematically give way. The United States as a whole reached the debt saturated condition quite some time ago. Once reached, adding more debt, as we are massively attempting to do, no longer results in real economic expansion. Instead it results in real economic contraction, the exact opposite of what worked before! Let me make that clear, attempting to stimulate a debt saturated economy with more debt will only lead to real economic contraction and higher levels of structural unemployment! But remember WHO produces the money! In order for their profits to grow, they must produce ever increasing sums of debt, such that today the acknowledged Current Account Deficit of the United States exceeds $14 Trillion! If only it were that good in reality! But sadly it’s not – there is much disinformation and fuzzy thinking here. Even if we give this number the benefit of naively believing that’s the extent of it, it is still completely unworkable math. Even the mainstream media, who is complicit in creating and disseminating economic disinformation, is forced to concede that the numbers are completely unworkable. Just taken at face value, the current advertised account deficit of $14 trillion+ equals more than $45,000 of debt for every man, woman, and child in the United States (current population approximately 310 million). My family of four would thus be responsible for more than $180,000 just in our share of national debt! Oh, but if only it were that promising! Not even close! The never mentioned truth is that not only are our families responsible for the national debt, but they are also the same people responsible for our state’s debts, our county’s debts, our city’s debts, our personal debts, and ultimately because we’re end use consumers, we’re also responsible for corporate debts! Whew, it all adds up to sums so vast that there is absolutely no possible way the debt can ever be repaid. In fact, it really can’t even be seriously paid down without dramatically shrinking economic activity. Math is math… it cannot be fooled. It can be ignored for a while, and that’s exactly how we’ve been handling it so far. Another way that logic is turned on its head is when the bankers, politicians, and economists (who are trained in schools financed by bankers), compare GDP (Gross Domestic Product) to our nation’s debt! What do the two have to do with one another? Very little! Why do I say that number is crooked? For starters our government refuses to use GAAP accounting like they demand of companies within the United States. This means that we are failing to acknowledge accounts payables – future obligations and other promises that are not currently on the books, that’s why it’s called the “current” account deficit. Adding future obligations catapults the $14 Trillion total into the $60 Trillion (conservative figure) to $100 Trillion + range ($322,000+ per person, $1.3 million for a family of four). 1. Credit money production and derivatives, aka financial engineering, should be subtracted from GDP as creating a debt dollar only pulls future demand forward into the here and now and thus creates a future obligation. This is like taking a cash advance on a credit card and counting it towards your personal income! It’s not income, it’s a loan! This single effect has masked the fact that the United State’s real output of goods and services has not actually increased in the past decade at all. This overestimates the value of our GDP by roughly 30% to 40%. 2. Our GDP is measured in dollars and not in actual goods or services. Thus if the value of the dollar falls, it will appear that more goods and services are being created than actually are (apparent growth). For example, if the value of the dollar falls 5% in real terms, but GDP supposedly increases 3%, then real growth is actually -2%. The BEA (Bureau of Economic Analysis) and BLS (Bureau of Labor Statistics) calculate supposed inflation and then use a “deflator” to adjust the GDP number, but due to errors in the way they calculate those numbers, the net effect is to understate inflation and that overstates GDP. The net effect of these errors is that you are being fed disinformation about the state of our economy, and about our ability to service our debts. Our nation is functionally insolvent as are large private banks. The lie in this regard is that we are a sovereign nation and can simply print money and thus make it easier to pay back our debts and future obligation. But once debt saturation is reached and interest rates are at zero, then the only way left to cause apparent growth is to either use fraudulent accounting, or to print money. We are doing both, and both will lead to the eventual loss of confidence that will end the charade that the quantity of money being produced is under control – it is not. Imagine that you are the largest lender to a nation. You worked hard for the money that you lent them. But that nation continues to spend money they don’t have and begin to take the easy way out by printing up more money. This action devalues the money that they are paying you back with, and thus in effect they are stealing from you! Will you continue to lend your hard earned money to such a nation? Certainly not forever, and thus there are limits. History has proven these limits time and time again, yet the disinformation is overpowering. Growth and inflation are two completely different things, but the terms are often confused for one another. This is a large part of the disinformation that is laced throughout economic statistics. Often inflation is used to sell the idea that growth is occurring when in fact it is not. A bowling ball manufacturer, for example, may build and sell 10,000 balls in one year, selling each for $80, and thus creating $800,000 in revenue. The next year they do not report the number of balls produced, but claim that sales rose to $990,000. Congratulations! If this is the only data one has, a person may be forced to conclude that they are growing their business, and one would have to conclude that demand is strong! But when given the fact that they actually produced only 9,000 bowling balls, but sold them for $110 each, then it becomes apparent that they made and sold 10% fewer products! 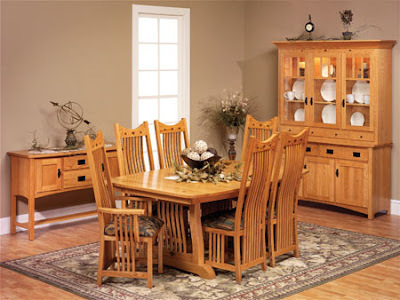 While the company can report sales grew by $190,000 or 23%, real production declined! The conclusion here is different, now it could be that demand is super strong and they were setting a higher price point, OR monetary inflation is quite high. Once you have this real quantity information then it’s easy to tell that what rose was the quantity of money, and not the quantity of product. The quantity of money in the transaction may have risen, but fewer workers will be needed with the real quantity of items being produced in decline. The problem is even more severe when Retail Sales are reported. These are also overstated as they are measured and expressed in dollars which are being devalued. Additionally, Retail Sales are only reported for stores open one year or longer, thus capturing only sales of stores that are open. This instills substitution bias because sales at stores that have closed in the past year are not considered! This error gets larger the more stores that close. Many economic data sets use “real” data. They are actually not real. This inflation adjustment error ripples throughout the data sets and winds up painting a completely false picture. Producing good retail sales numbers would be very easy with today’s technology, yet we don’t do it because those financing it all can’t stand the truth. And everything today is marketing and perception driven. The fear is that if perceptions of weakness are evident then it will lead to more weakness. But eventually the math expresses itself, it cannot be hidden forever. Are economic statistic errors intentional? You bet they are. They are getting worse and worse over time as one lie is placed upon the former. Some may be “adjusted” with the best of intentions by the people doing the adjusting, but this simply brings in another type of bias, that is the optimism bias. People simply don’t like to report or promote bad news. But when money interests get involved, look out! Organizations like the MBA (Mortgage Banker’s Association) report statistics for their own economic segments. In the case of the MBA, they report Pending Home Sales and Refinance activity on a weekly basis. They are now famous hypocrites for chastising home owners who walk away from their homes (thus returning the collateral to the bank) while they were simultaneously doing exactly that with their own corporate headquarters. When the data starts looking bad, as it did for home sales, private organizations like the MBA begin to clam up and start obscuring the data, making it hard to examine and compare with past figures. This is disinformation step number one – a lack of transparency. The “Fed” has never been transparent and fights every attempt to force it, the latest being the “Audit the Fed” bill sponsored by Congressman Ron Paul. The “Fed” won’t allow itself to be audited because it would make the fraud absolutely apparent. Our unemployment numbers are also another piece of gross disinformation. The BLS induces huge errors into these reports with massive seasonal adjustments and by using phony models such as their small business “Birth/Death” model. Additionally, they also use old and outdated technology to gather information (a phone survey) when technology exists to get a very timely and accurate view. Employers are required to provide payroll information directly and thus real information could be easily compiled and reported, yet it is not. And since our money is created by so many private companies, and then it is further leveraged and confused with derivatives, we have completely lost touch of our ability to even know what the total quantity of money is! Don’t fall for the disinformation, “Fed” reported money aggregates are not even close to reality! What little they actually do track and report is dwarfed by what they fail to track and report, namely the derivates within the “shadow banking industry.” Truly, there is no agency that is privy to the actual total quantity of money within the system and throughout the globe. They want it that way, the more you are kept in the dark, the easier it is for them to do as they please. An entire book filled with the specifics of bad economic data could be written, I observe and report on it every single day. The information is there for those with the willingness and courage to look. So, you have to ask yourself why is the data slanted, and almost always the slanting is in the direction that makes the economy look more healthy than it actually is? The answer, I believe, is readily apparent when you simply follow the trail of money back to who profits from it, and who produces the money. This pervasive economic disinformation leads to tremendous misallocations of resources, both human and capital. The housing bubble is an excellent example of that, causing people and resources to simply produce far more than was needed. When we are producing things we don’t really need, we need to be asking ourselves what it is we’re not producing but should be – like energy infrastructure. And to keep the illusion going interest rates were lowered to zero and kept there. Then comes the outright money printing disguised in the form of “Quantitative Easing” – which is simply more blatant disinformation by the same private organization who refers to themselves as the “Fed.” Their lie is that money printing in this manner is benign. It is not, as is readily apparent by the doubling of food commodity prices in just the past six months alone. Real people throughout the world are starving due to these actions, yet our government fails to acknowledge this, much less take action to prevent it. People who live in poor regions are affected to a much greater degree than those who are wealthier as a much larger percentage of their income goes to pay for food. For example, approximately 40% of the average income is needed just to buy food for the average income earner in China. Imagine the effects on their lives if the cost of food doubles for them. In the United States a much smaller percentage of income goes to food, and thus we are affected to a much smaller degree. Still, those on the margins are greatly affected, a travesty of greed that has resulted in the breakdown of the rule of law. The saying is that “desperate people do desperate things.” In this manner then, the undertow of economic misallocation leads to what I term “other events.” Hunger and discontent can lead to violence, revolution, and war. We are seeing these “other events” play out on the world stage now, yet few can see the chain of events leading from the “Fed’s” economic and money disinformation directly to these tragedies. How to stop and to prevent the spread of economic disinformation? Unfortunately it probably won’t change until we change WHO produces and controls the quantity of money. However, if we look forward to the day that change does occur, then we need to be ready to create a system that is sustainable in the very long term. Money absolutely corrupts. This makes it essential that those disseminating important economic data be neutral in regards to financial incentive. The Mortgage Banker’s Association, for example, should not be the ones reporting mortgage information to the public and to investors! The government agencies responsible for reporting statistics should not be under the influence of private corporations, nor should they be beholden to politicians whose careers are dependent on winning votes (often by showering money upon their constituents). Thus, agencies that report economic statistics should be separated as much as possible from those money driven influences. This could be accomplished by replacing the current alphabet soup of agencies with one independent agency responsible solely for the collection and dissemination of economic data. Compile and track all data necessary to monitor and to adjust the economy. This panel must be completely independent and without influence from all other agencies. Workers within this agency should not come from or leave to go to work within corporations who may benefit from this agency’s work for a specified time both before and after employment. Complete transparency is required, ALL data is made available to the public, free of charge. Raw data should be made available as soon as it’s available to them, no individual, firm, or politician should have access to the data before the public. Independent parties must compile and report statistics for any industry that has a measurable effect on the overall economy. In other words, a neutral party should be required to compile and report meaningful industry data so that insiders do not have the ability to manipulate overall industry data. b. Timeless data – methods should be developed to report data in such a manner that the methods of calculation can be repeated and reported consistently over time, thus ensuring that future generations can compare apples to apples. c. Modern data – these are data that can be improved and changed over time. However, all such changes shall be completely transparent and shall always be presented with the raw data and with access to the way in which the statistic is compiled and calculated. But this alone is not enough. The special interests who produce the money also control our education system and our media. They also actively work to prevent good and honest scientific research in the field of economics. Again, keeping people in the dark is profitable for them. This is why the field of economics seems more like voodoo than science. We fail to track and monitor the economy properly, we fail to do meaningful research, and then we anoint a supposed “expert” to act as God at the head of the “Fed” who is supposedly “independent.” This is laughably archaic, intentionally so, and against the wishes of our nation’s founders who understood the importance for checks and balances. We should be doing meaningful research within the economy and we should be attempting to model it and the associated human behavior. We should be striving to create controls to keep the quantity of money under control – this is not impossible. What is impossible is expecting gold backing or private individuals to keep the quantity of money under control on their own. There must be transparency coupled to checks and balances if we wish to be truly prosperous over the long haul.